Around and Around | Just Shooting Memories! The most prominent feature of any fair is the ferris wheel. It is big, spins around and usually has cool lights on it. 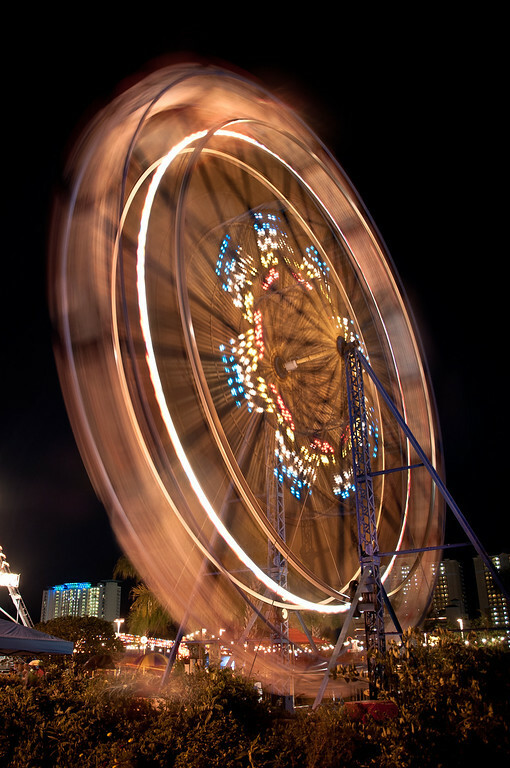 Near the center of Pier Park at Panama City Beach, they have many amusement rides including this ferris wheel. Not much beat moving lights for a long exposure photo.